Stop by Gallery by the Gulf to meet Sheryl at an Artist’s reception, Saturday, December 5, 2016, Noon to 4:00 pm. Sheryl Lambert, became an artist at the age of 5 when she took her neighbor’s driveway shells, enhanced them with crayons, and sold them back to her as “handpainted” home decor. But, it took nearly 50 years for her to realize it. Trained as a musician and elementary educator, her creative outlet was through teaching elementary students. Throughout her career, she developed classroom techniques emphasizing creative thinking, and shared them with her colleagues through workshops and inservice training. Because of her success with teaching other adults as well as her students, she was honored to have been selected as a finalist for Texas Elementary Teacher of the Year. After a successful 30 years of teaching and encouraging her gifted and talented students to face their fears of failure and meet creativity head-on, she retired. It was time to practice what she had preached for all of those years. Combining Sheryl’s love of inspirational quotations with a desire to paint, Quotentials was originally born as a decorative painting adventure. As a decorative painter, she painted murals and quotations in clients’ homes throughout the Houston area. But, then she discovered the magic of glass. Its translucence, fluidity, and play of light and color fascinated her. One afternoon of experimentation, and she was hooked. The paints and ladders were set aside, and glass became her passion. She sought out and was trained by national instructors who not only instructed her in the science of glass fusing, but inspired her to think outside the box and create unique functional and decorative glass art. Her home studio now teems with the sounds of clicking kilns, and grinding glass. Since that day, this award winning artist has been invited to display in galleries and gift shops along the gulf coast, has participated in numerous juried art shows, and teaches glass fusing classes at Harmony Stained Glass in Pasadena, Texas. 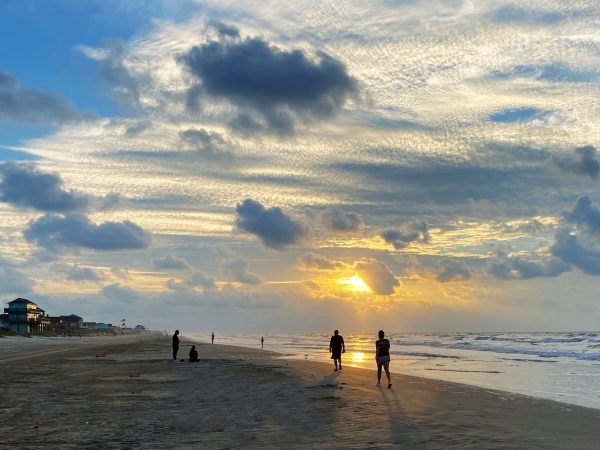 Sheryl and her husband David split their time between their home in Missouri City, Texas and their “Heaven on earth” in Crystal Beach. « Cultural Foundation Day of Events!